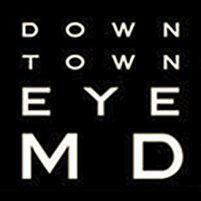 At Downtown Ophthalmology, Akhilesh Singh, M.D. and his staff specialize in the diagnosis and treatment of hypertensive retinopathy and other serious eye conditions. The facility serves residents in and around the Queens and Forest Hills communities of New York. Hypertensive retinopathy is a health condition that is the result of damage caused by high blood pressure. Uncontrolled high blood pressure can cause vascular damage to blood vessels throughout the body. When this happens within the eye it is referred to as hypertensive retinopathy. The higher a person's blood pressure, the more constricted the blood vessels in the eyes become. It can also cause edema within the eye which puts even more pressure on the blood vessels. The damage to the blood vessels in the eye that is caused by hypertension is irreversible. Individuals who smoke on a regular basis increase the amount of damage caused by the high blood pressure. Does the Condition Cause Permanent Damage to the Eye? The pressure within the eye that is caused by high blood pressure, constricts the blood vessels within the eye. This constant pressure and edema cause irreversible damage to the blood vessels. When the blood vessels are damaged, blood flow to the area decreases dramatically. This can cause vision abnormalities that may become permanent if the conditions are not treated effectively. If the high blood pressure is left uncontrolled for several years, hardening of the arteriole wall can also occur. When a person suffers from both hypertension and diabetes, their risk of vision complications can increase dramatically. Treating a person's high blood pressure is one of the first steps in an effective treatment plan for hypertensive retinopathy. If the high blood pressure is not treated, blood flow to the area will still be affected even if other symptoms are treated. The key to correcting the problem is addressing the source. Once the high blood pressure is brought under control, any other symptoms can be effectively treated. If damage has occurred to the blood vessels within the eye, laser procedures can be used to correct the abnormalities and possibly restore at least some of the vision that was affected. Corticosteroids may also be injected into the eye to help reduce edema and reduce pressure within the eye.